Sometimes, you want a jewelry project that can be done quickly. Whether you are working on holiday gifts or only have a few spare hours to spend beading. You are sure to find one or more bracelet projects to get started on in this list of favorite easy beaded bracelet projects and tutorials. Leather cord bracelets are always in style, and so are charm bracelets. This project combines both for a style that can't miss. I love St. Petersburg stitch! It's a little tricky at first, but the results are beautiful! Make a holiday garland for your wrist or change the colors and make it work for any season. St Petersburg stitch is an advanced beginner stitch and may require that you do a practice piece or two before you are ready to make a bracelet. This is such a great way to make a bracelet with a splash of color - and a great way to learn the basics of brick stitch. This design will work with a wide variety of beads and is easy to learn. It is also super quick to make because you only need to make a small swatch of beadwork and then finish the bracelet with chain. Strands of colorful cord braided together with a stunning shell centerpiece makes a great layering bracelet. Another simple brick stitch design, for when you have a little more time on your hands. 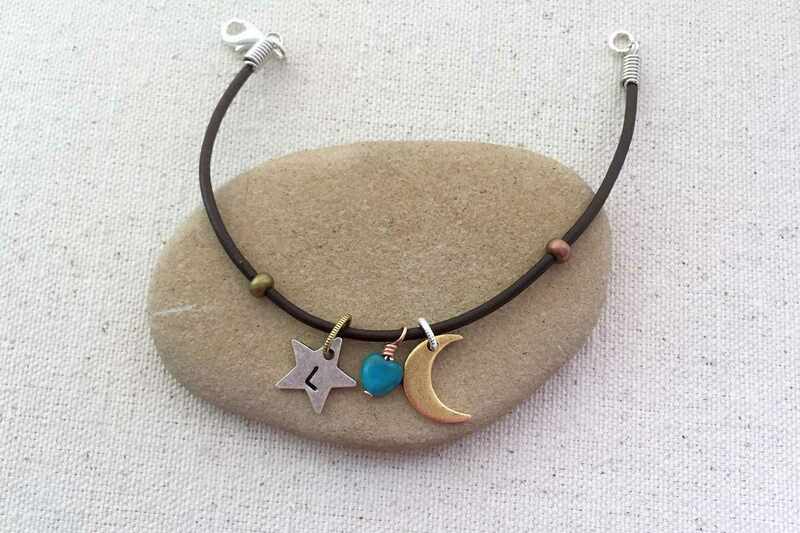 This simple bracelet design can look very different depending on the beads you choose. This is the bracelet that started my fascination with simple two column wide brick stitch. In two colors of size 8 beads, this bracelet is bold and beautiful. A perfect beginner brick stitch project! Spiral rope stitch is a great beadwork stitch for beginners. This bracelet uses double spiral rope stitch which is only slightly more complicated, making it a perfect second stitch for beginners. This chunky rope has two spirals of color and can incorporate multiple colors and types of beads. Ladder stitch is often overlooked as the main stitch for a project, usually relegated to a way to start other stitches. This bracelet shows why you should give it a second look. This is a beginner project and can be made with a variety of types of beads. Ladder stitch links are easy to make in your spare time with leftover beads from other projects. Once you collect enough, connect them with jump rings for a great one of a kind link bracelet. This project is a great beginner level introduction to ladder stitch. A great introduction to wire jewelry making is this easy rosary style bracelet that uses a simple wire loop. This project requires basic wire wrap tools. It can also be made using a one-step looper tool. Why wear a bracelet when you can have a bracelet and ring in one great piece of jewelry! This wirework project uses a simple wrapped loop technique that is so important for both wire work and jewelry making in general. This project requires basic wire wrap tools but is suitable for a beginner. Dress up a spiral (half square knot) macrame bracelet with large hole Pandora style beads. The spiral band holds the beads in place, and the unique clasp design on this bracelet allows you to swap out the large hole beads just like your regular Pandora style bracelet chain. This is the easiest macrame knot and great for beginners. The 1-step looper is a great time-saving type of pliers that can make a simple loop and trim the wire end. It's not perfect, but it can make wire jewelry making a lot quicker. Learn how to use this tool to make a rosary style bracelet. This bracelet is so quick and easy; you'll want to make an armful. All you will need to know is how to make a simple lark's head knot and how to use fold over cord connector findings. An added feature is that you can make extra bands and easily swap them out. This bracelet uses odd count tubular peyote stitch to make a spiral pattern using size 11 beads. However, you can use a wide variety of types of beads. To make the bracelet into a cuff, the tubular beadwork is added to the wire and held in place with bead end caps. This easy bracelet is a great way to use up extra bits and baubles from your other projects. It uses small pieces of round ball chain, regular chain and a handful of size 8 beads. There are no special skills required for this bracelet - the beads are simply woven into the ball chain, and the bead component is attached to the chain with jump rings. Why settle for one bracelet when you can have a bracelet with three strands. This bracelet project will help you understand how to lay out and attach multiple-bead strands. It is a beginner level project - but you should have some stringing and crimping knowledge.